But what if you could have seen more before you made that investment? What if you could see and feel the physical materials and the finishes of your stand, how a graphic will look printed and how a particular lighting effect will make your logo stand out above the rest? 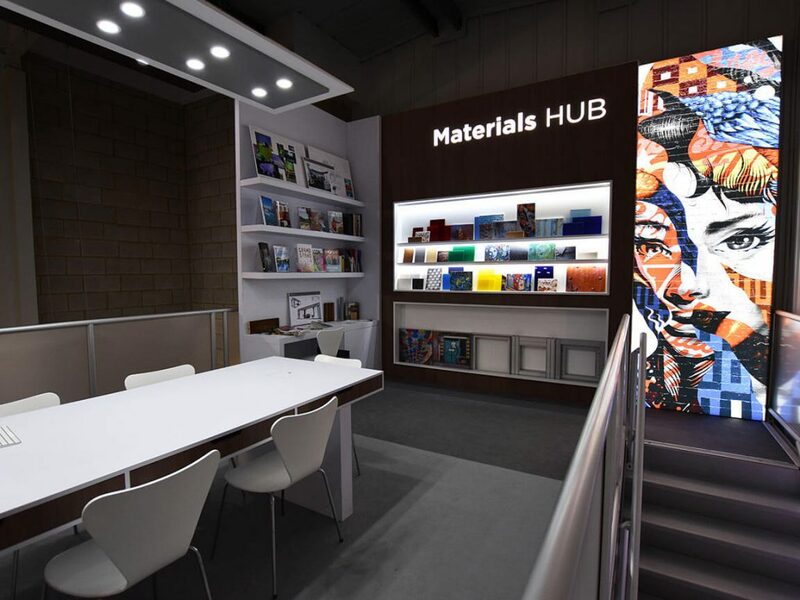 Well, that’s exactly what we can now offer with our new Materials Hub, the latest addition to our state-of-the-art showroom. Here, we can showcase the hundreds of options and finishes that can truly make the difference when you want to stand out in the exhibition hall. We’ve filled the hub with samples, swatches, effects, textures and techniques, including many new materials and finishes we worked hard to develop in 2015. To give you a hint of how we can create impactful new designs, or transform your current stand, we’ve outlined some of our favourite finishes below. 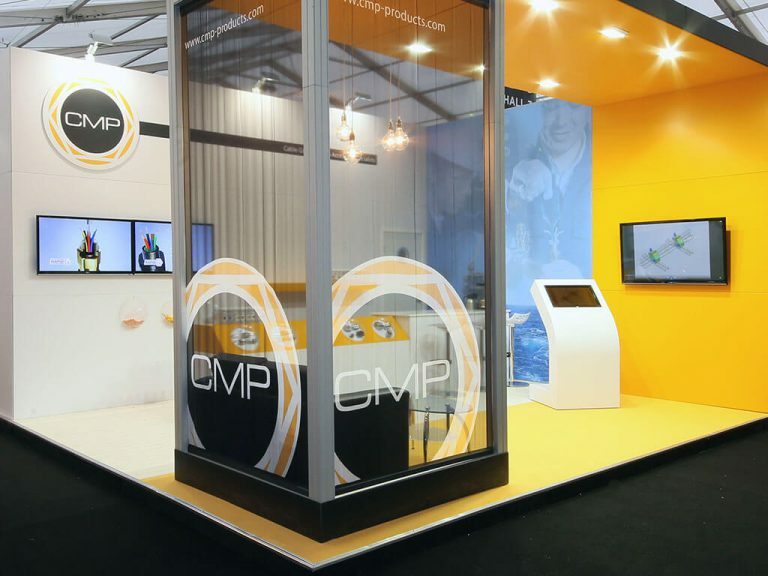 Hand painted surfaces and printed vinyl graphics are the norm for many exhibition stands. But we pride ourselves on being different with hi-tech printing capabilities and fabric graphics. We have clever hybrid digital printers which can print directly to acrylic and mirror board and a rare dye-sub fabric process which allows us to print graphics onto anything from delicate sheer voiles to sumptuous silk. For high-end textures why not try 3D sculptured patterns, such as that featured on Bibby’s welcome desk in the example above, which brought a luxurious quality to the brand’s furniture. Great when you want to communicate the quality of your service or product to your potential customers. 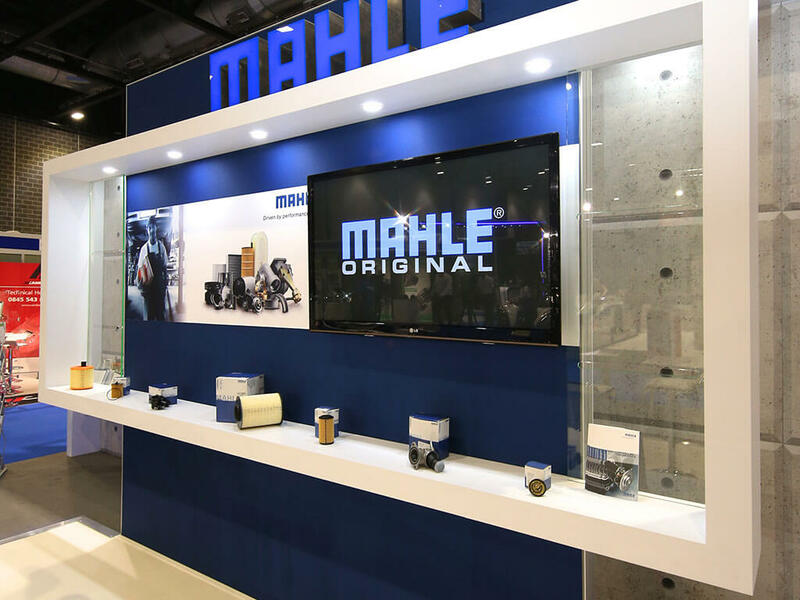 Our second example from Mahle shows how adding texture to your stand doesn’t need such a premium price tag. We achieved the impact of the concrete effect by printing directly onto fabric. Lighting helps to showcase your stand’s finish to its full potential, whether you’re back-lighting a fabric graphic so it ‘pops’ or using strip lighting to draw the eye to feature panels. When it comes to branding, the one size fits all approach tends to fall flat. You want to stay instantly recognisable to those who know your brand, while enticing those who do not. At last count, we’d over 38 different ways to produce and present a logo. 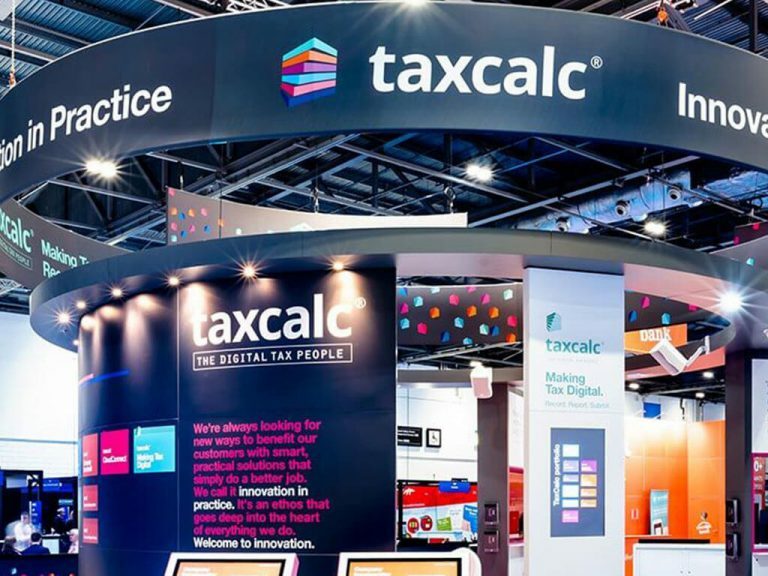 Easy to apply laminates and vinyl, or directly printing your branding to the features of your stand works on most occasions, but we are using our Materials Hub to showcase much more. With the introduction of our spray paint booth we can now spray paint your laser cut 3D logo to match the colour of your branding and mount to your stand’s architecture. The logo literally stands out! You could also show off your branding with eye-catching backlit logos and lettering, such as with the fret-cut Halfords logo shown above. When you have only three seconds on average to catch a visitor’s attention, lighting can help you do this instantly. 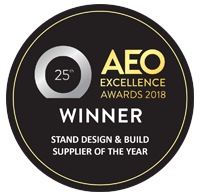 While the finish of your stand’s architecture is important, and the look of your branding even more so, many forget that certain materials and finishes are brilliant at creating or breaking up space on your stand. For example, if you want to host clients in a dedicated meeting area, you could stand to lose half your space behind solid panels and graphics. But, with the right materials, we’ve been able to produce semi-private sections of a stand with translucent fabrics or acrylics. 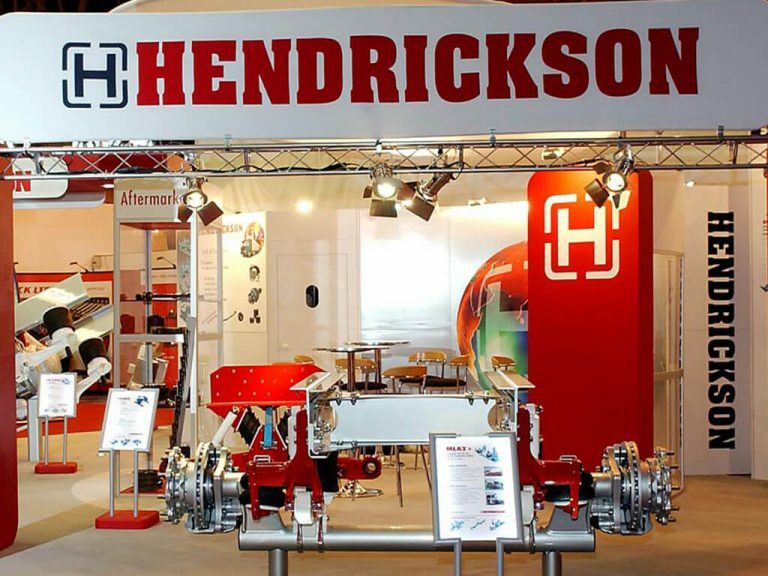 This keeps the stand light, open and inviting, while still providing an area for your clients away from the hustle and bustle of the exhibition. 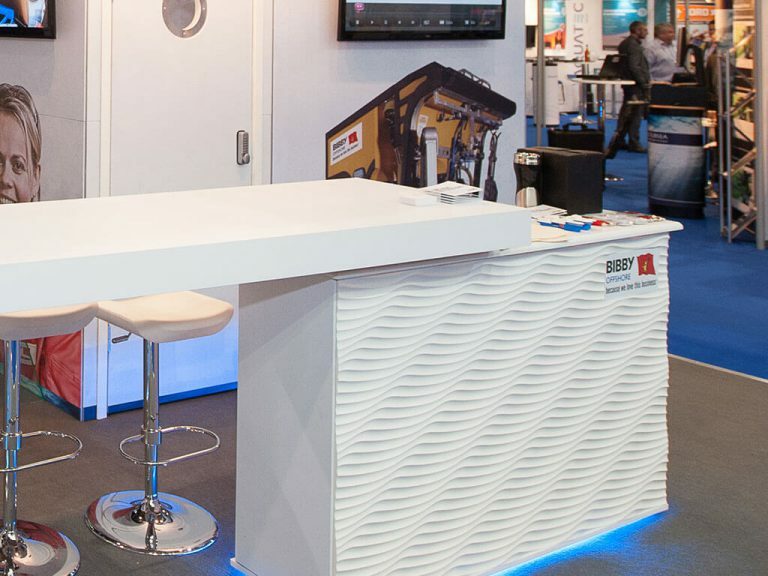 Get stuck in with the design of your stand! 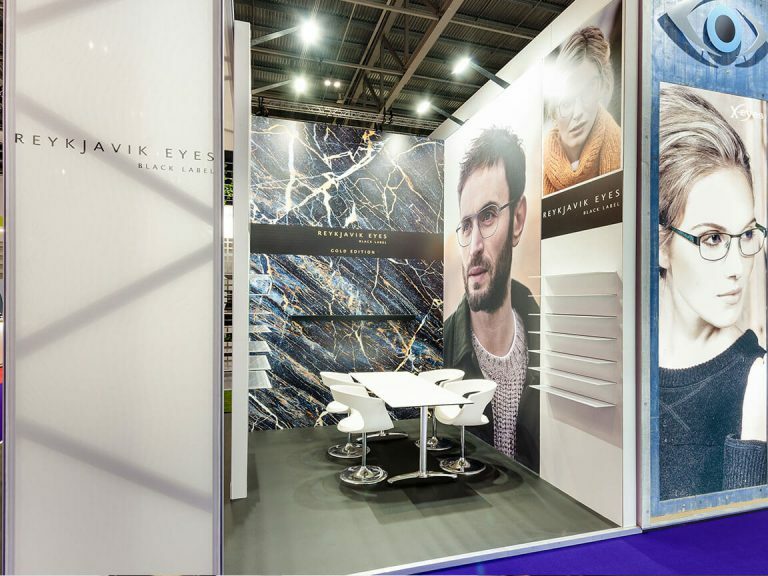 With our team of experts guiding you through the design process at every level and our new Materials Hub providing the backdrop for inspirational ideas, we’d love to discuss opportunities for your next stand.